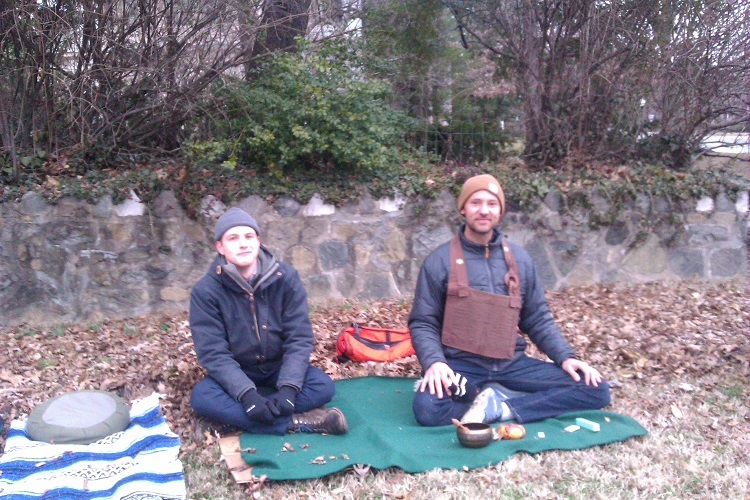 We continue our Friday sits for justice and peace at various locations in Baltimore. 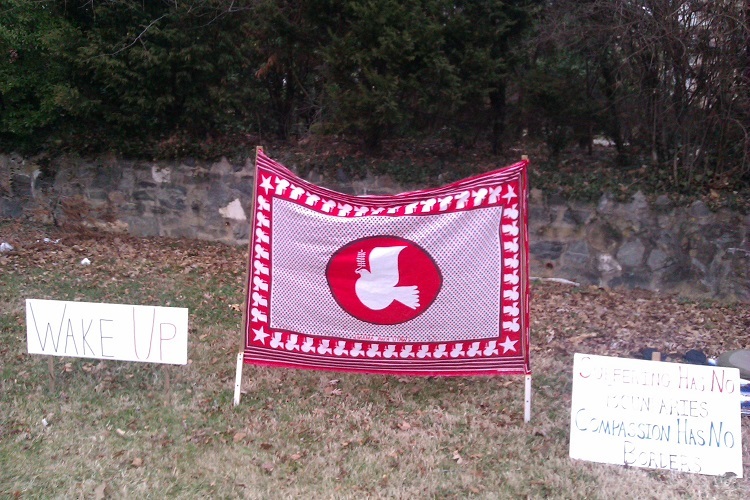 Two weeks ago we were at the intersection of Roland Avenue and Cold Spring Road. Andy Holter joined Tucker and Joe. 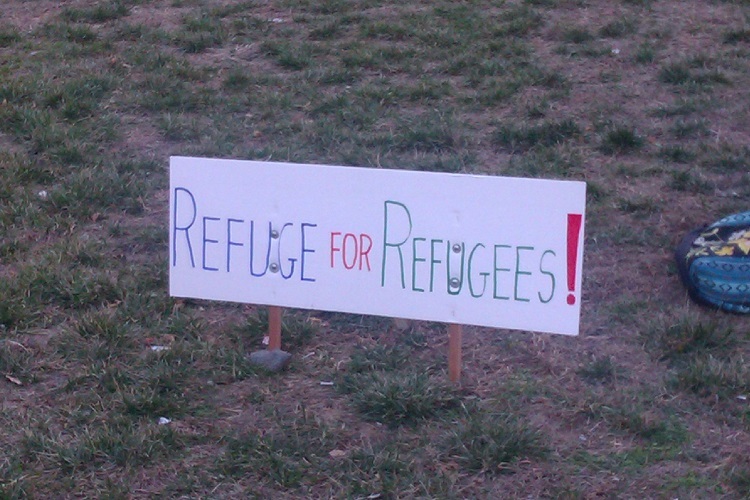 One of the messages we feel most impassioned about is welcoming, and toleration of, refugees. 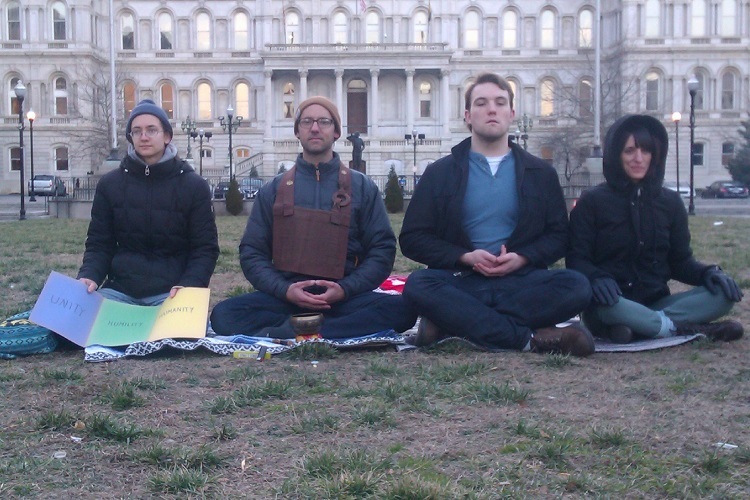 Last week we were at Baltimore’s City Hall Park. Joining Joe and Tucker were Melissa Brady, Michael McEwan, and Amy Pucino (who joined us for our first sit, at the North Avenue, Route 83 intersection, three weeks ago.) City Hall is in the background. Here are the sitters from behind. 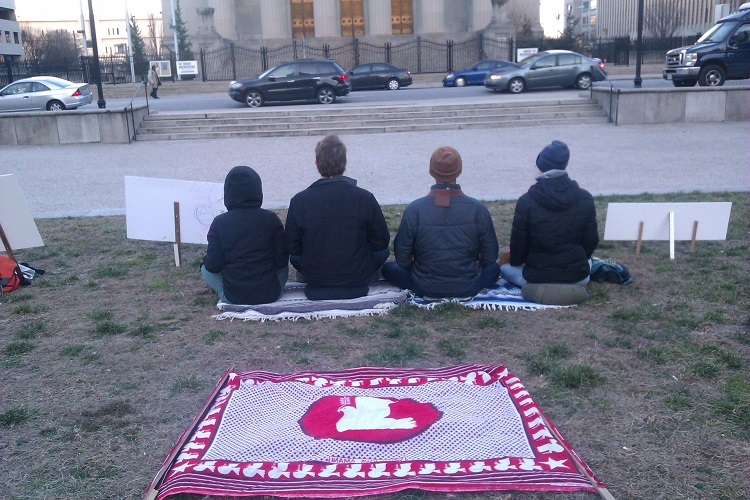 We were facing the Baltimore War Memorial, meditating for peace! 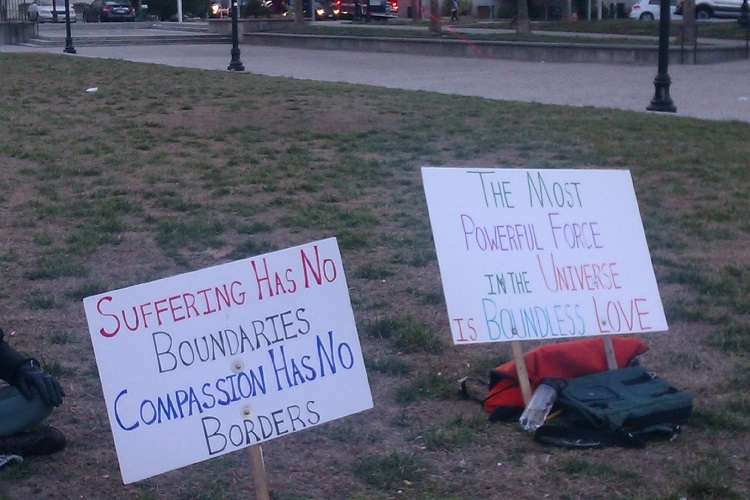 Our messaging remains the same: compassion and toleration. We will return to sit at City Hall this evening (Friday February 24) from 4:30pm to 5:50pm. Join us!